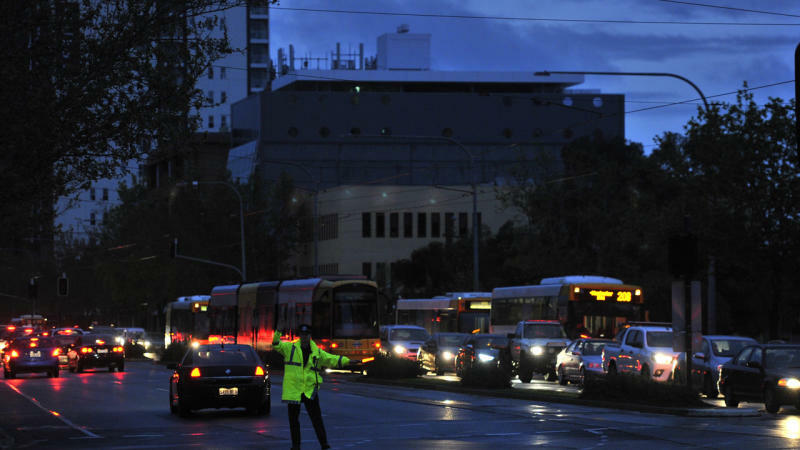 South Australia's blackout has severely disrupted operations across the state for mining giants including BHP Billiton and will come at a massive cost to many smaller businesses. The power failure was a result of ferocious storms that damaged a power station and at least 20 transmission towers. About 100,000 properties are still without power across South Australia as wild weather adds to the problems. BHP has suspended operations at its massive Olympic Dam site, where it produces copper, gold and uranium. "Back-up generators are currently providing power to critical infrastructure and will allow a restart of operations when power is restored. Our primary focus is the safety and welfare of our people." Olympic Dam produces more than 10 per cent of BHP's copper output. Smaller miner OZ Minerals has suspended production at the company's Prominent Hill copper and gold mine due to the disruption to its electricity supply. OZ Minerals said it has not been given a definitive timeline for the restoration of power to the site, as suppliers determine the full extent of damage to their transmission infrastructure. Electricity provider AGL Energy said its Torrens Island power station near Adelaide is progressively being brought back into the network, under the coordination of the Australian Energy Market Operator (AEMO). AGL does not anticipate any material financial impact from the outage, at this stage. The Australian Industry Group fears the power outage will lead to big costs for the wider business community. He called for response systems to be reviewed, but said cost will need to be a "top consideration" if changes are made, given the experience in NSW and Queensland where electricity network costs have jumped after reliability standards were improved. The Insurance Council of Australia (ICA) said its members are closely monitoring the impact fro the storm, and liaising with state and local governments, agencies and the emergency services. "Reports to insurers indicate largely low-level damage to property across a very widespread area, though it will take several days for a more complete picture to emerge," it said.